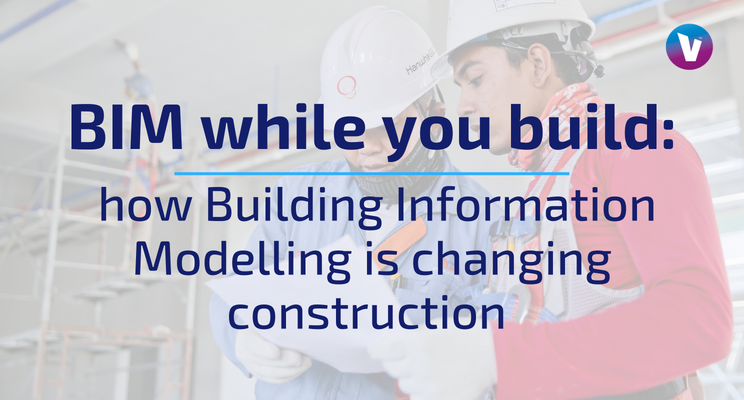 BIM (Building Information Modelling) means different things to different people. In April 2016, a UK government mandate came into effect requiring BIM Level 2 for all publicly funded construction projects. But, what is BIM and do government regulations reflect the true potential of the technology? Everything from 3D models to digitised architectural plans get labelled as BIM. At its core, however, BIM is far more than this. Rather than simply creating a digital model of physical space, BIM represents a physical space and the functional characteristics of that space. It augments the three spatial dimensions of width, height and depth with time, cost and function. True BIM workflows also enable collaboration. Their data is rooted in database storage, rather than graphical representations — making BIM schematics editable and relevant to individuals across construction teams while providing a ‘single source of truth’. This, however, is the genesis for BIM Level 3 and beyond, and not required for government funding. BIM Levels 0 - 3: where did BIM come from? Architects began using computer-aided designs (CADs) during the 1980s. By the close of the decade, many construction documents were being plotted digitally rather than being drafted by hand. The easy ability to create and view many layers within these CADs expanded the ability to detail information about buildings that could not be easily included in plotted drafts. This is now considered BIM Level 0. Object-oriented CAD was introduced in the early 1990s. ‘Objects’ within these files store non-graphical data about a building alongside a graphical representation. This introduced the capability to automate certain documentation tasks such as scheduling and room numbering. These new pieces of software also introduced 3D modelling. These systems, however, are all limited by their rooting in graphics-based representations. This technology, when coupled with the ability to share files digitally is considered BIM Level 1. BIM Level 2 requires collaborative capabilities and brings us closer to true BIM. In order for a workflow process to reach BIM Level 2 standards, all CAD software must be capable of exporting to one of the common file formats such as IFC (Industry Foundation Class) or COBie (Construction Operations Building Information Exchange). This allows files to be shared and edited by all team members. All of these BIM categories fall short of what truly differentiates BIM from older CAD systems. They do not possess seamless interoperability or ‘single source of truth’ capabilities delivered through common database storage. In 2002, AutoDesk wrote a white paper ‘Building Information Modeling’ where they laid out a vision for this new means of construction collaboration. Here, they set the standard for BIM as purpose-built software that is a database first, and then uses that database to produce graphical representations. Even though this capability is not required for all systems labelled as BIM, this is the source of the radical benefits delivered by BIM that truly required a new categorisation. Architecture has traditionally worked in an iterative and manually intensive process. Designs are represented graphically and information is added to those illustrations with notes and specifications. Changes then must be made. CAD automated that process and object-oriented CAD allowed those notes and information to be included digitally. The result, however, was simply a digital version of what had previously existed physically. This is essentially what BIM Levels 0-2 offer. BIM Level 3 flips this on its head. It starts with the information about a building and then presents that information graphically. What this does is converge the many formats that architects, structural engineers and builders use to do their jobs into a single database. Each is enabled to use and contribute to the same database and then retrieve only the relevant information in the format that they are familiar with viewing. The entire exchange is automated and easy for everyone involved. Architects are able to access their plans, sections and elevations — enabling them to work on a building through drawings. Structural engineers are able to work with framing and bracing diagrams. Builders can access these same formats along with isometric views of building geometry. More critically, edits made to a plan in any one format are propagated throughout all other files because each file is simply a different presentation of the same data, not an independent dataset. Further, the history of what changes were made, when, and by whom can be recorded, reviewed and rolled back. This entire centralised process improves drawing coordination and reduces the number of errors in documents — benefiting the entire construction team. Fundamentally, BIM allows building design and documentation to be done concurrently, rather than one after the other. All of the design deliverables (schedules, colour filled diagrams, drawings and 3D models) are produced as the design phase is being undertaken. There is no longer a need to invest time in manual documentation cross-checking. When changes are made, those changes are automatically propagated throughout all of the documentation. All of this allows more work to be done more quickly by fewer people. This lowers costs and improves results. The push for 3D modelling has always been rooted in its accessibility to the general public. Even people within the construction industry sometimes struggle to accurately interpret architectural drawings or structural schematics. Taking 2D information and transforming that into a 3D mental image is a specialised skill. 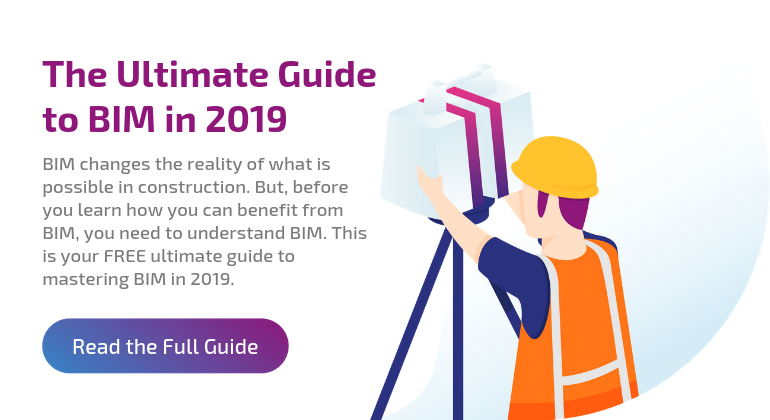 3D modelling exists outside of BIM, but the specificity and functional representations included in true BIM schematics provide important information in a highly accessible format. BIM creates 3D models that anyone can explore, or even edit. This helps designers sell projects, it also helps building managers acquaint themselves with a building once construction is complete. BIM schematics follow a building from construction throughout its lifecycle and can be updated to match renovations. They provide building managers with information about the location of critical assets and maintenance concerns. BIM Level 3 is essentially a database methodology for building information, this means that it is only limited by the inputs that can be made. One of the main areas where BIM is changing is to bring it out of the world of design and into existing physical spaces. BIM models are exact and exist in three-dimensions. Traditionally, this has been used to then build corresponding physical spaces. However, this aligns directly with point cloud 3D modelling of existing spaces based on laser scans (LiDAR). LiDAR and point cloud technology is being used to make BIM schematics of existing structures. This has been able to deliver maintenance information and building visibility to the building managers of any structure. There are, however, sometimes unmanageable challenges. We often possess insufficient information about design standards, building codes, construction methods and materials of historical buildings. However, precise 3D models that provide some of the detail that would be included in a ‘design first’ BIM have been made. When available, detailed building information can be included. LiDAR is also being used to produce millimetre accurate scans of construction sites before, during and after construction that can be compared to BIM plans. Making sure that construction projects align with planning is always a concern. Being able to scan, in three-dimensions, each stage of a project before moving to the next allows building teams to ensure that they are progressing according to plan. Traditionally, this has been prohibited by the cost and time of point cloud generation and processing. 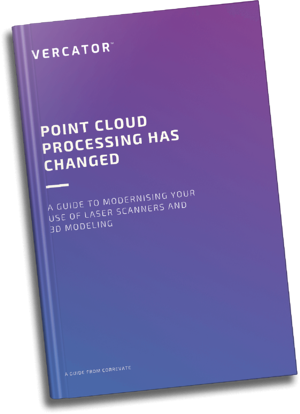 What has changed to enable this dynamic use of point clouds for both construction sites and existing buildings is the development of vector-based and automated targetless point cloud registration. This new technology has greatly increased the speed at which scenes can be scanned and the data can be processed — removing work-hours and greatly reducing the cost of 3D modelling. BIM has enabled construction teams to collaborate with efficiency. The ability for multiple people to view the same data in different ways and make individual edits while maintaining a ‘single source of truth’ is a powerful tool. BIM Level 3 allows documentation to be produced alongside design. No time needs to be wasted cross-checking for differences between datasets. BIM provides the added benefit of following a building throughout its lifetime. It allows building managers to intuitively access whatever information they need about a building in a format that they are likely to understand. Advances in point cloud generation and LiDAR technology have even enabled building managers to affordably commission the construction of BIM schematics for existing buildings. These same technological advances have enabled construction teams and project managers to compare each stage of a construction project against their digital plans with millimetre accuracy. BIM Levels 0-2 are more accurately renamed versions of older computer-aided design (CAD) capabilities used in a more collaborative way. These, however, still bring advantages. Laymen are able to see projects and understand what they will be, what they will look like and how they will function. Computer-aided modelling offers designers the freedom to explore ideas in great detail before any money is spent on construction. Depending on the type of software used, this can be undertaken to significant effect. Structural engineers can use physics simulations to assess the viability of a plan. Architects are able to experiment with new materials and push the pragmatic limits of design without risking physical construction. On a basic level, digital modelling has delivered many of the same benefits to architecture that have been seen in aerospace and automotive design. What BIM Level 3 brings, specifically, is the ability to collapse all of this data into a single editable database. This allows that entire iterative process to be undertaken more simply and accurately than was previously imaginable with graphics-oriented computer-aided design. This is reducing costs, improving designs and increasing the speed at which construction can be undertaken. The developing benefits of digitising an industry are still unfolding. It is an exciting time to be in construction.